RAPID CITY, S.D. 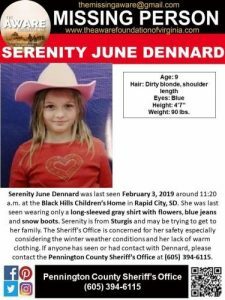 (AP) – Authorities have put on hold the search for a 9-year-old girl who ran away from a residential youth home amid frigid weather more than a week ago in South Dakota. The sheriff said the investigation remains open until the girl is found.